Woo hoo! 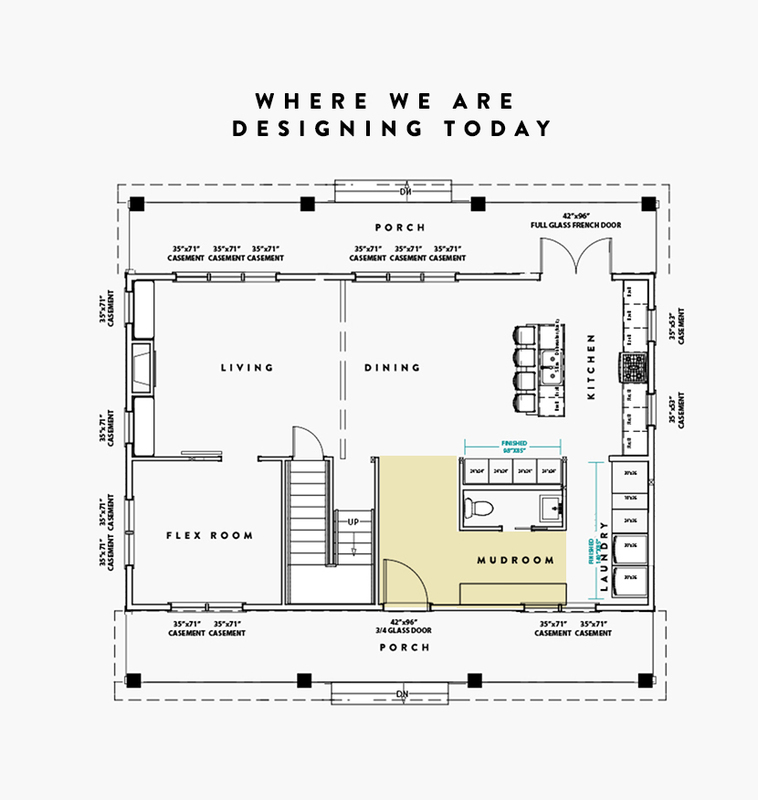 This is the first post I get to share about our design on the interior of the house. I have been excited about these posts as they are forcing me to think through every inch of the house little by little. So to get things rolling on the designs, I thought we would start off by talking about entering our home. We have yet to talk anything about the finishes inside the house so this will be a great way to kick into the design starting right where we come into the home. As you know from this design post our entry is a great size. We have a large 3/4 glass wood door that is 42×96 from Simpson going in. This will be the entry to our home and is perfectly centered on the window in the dining area. My goal here from a design perspective was that right when you walk in you see through the house out to the views we have on the hill. You immediately will eventually see where we will hold gatherings and feel welcomed to the table. That was how I wanted to center our home from the start. So far we are achieving the dream. I originally wanted a dedicated mudroom area, but we couldn’t find the right way to do it without closing in the entry so instead, we have a large wall just to the right when you come in for a bench with storage, hooks, and more to leave the outdoors by the door. As you walk through you will see a half bath and full wall of closets to your right. We will go over the half bath another day, but this entry is open, flowing, and accommodates a family full of activity. Our floors we will use for the entry will be the maple floors that are carried throughout the house. Though I debated about doing tile here because of winter and more. I have learned after living up here, that as long as you have a great rug and a good tray for your boots. All is good! Below, I have arranged a look at all of the finishes in the space for you so you can get the idea of what it will look like. 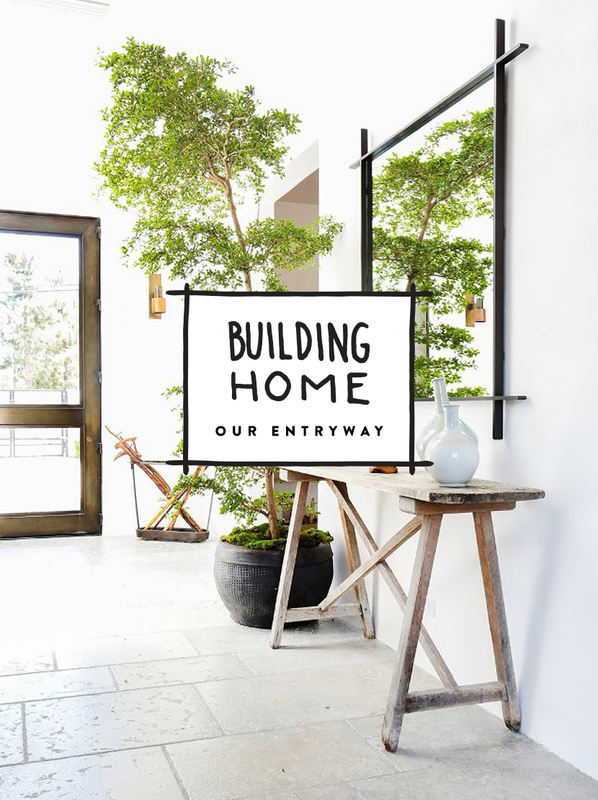 Do you have a favorite way to style your entryway? What do you think of the design?! Anything I should think about? I would love to hear your thoughts. 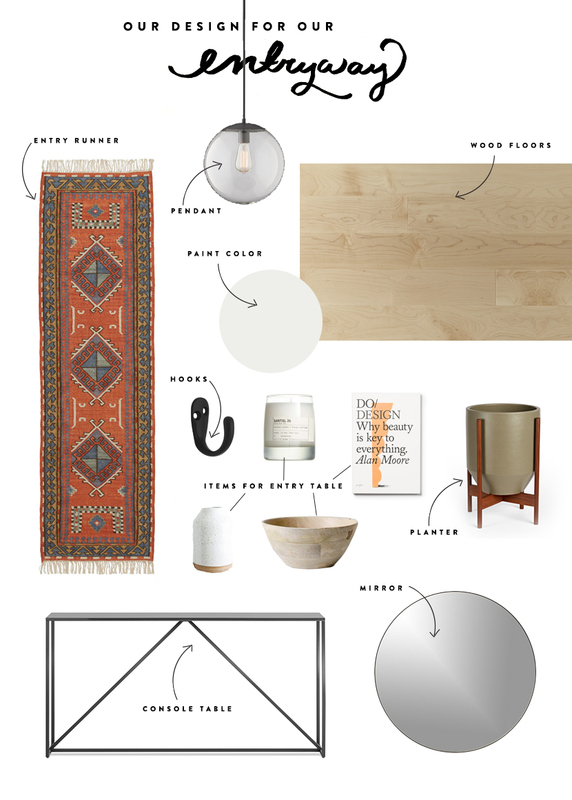 How fun to design all your spaces from scratch! It is going to all come together so beautifully! Winter accessories and Boot storage! Our house has a long entry hallway that is similar to this, runs straight out to the back deck. I’m planning on building a built-in bench area with storage below for hats and mittens and hooks above on the wall and a shelf above. Potentially adding cubbies with baskets for all the little extra things winter brings. I know we also need to plan for lots of wet boots so we’re adding a dedicated boot rack! I can’t stand shoes and bags and coats piled up so that’s something we’re planning for. Gorgeous! It’s wonderful watching you guys build your home through your blog. I just love it!